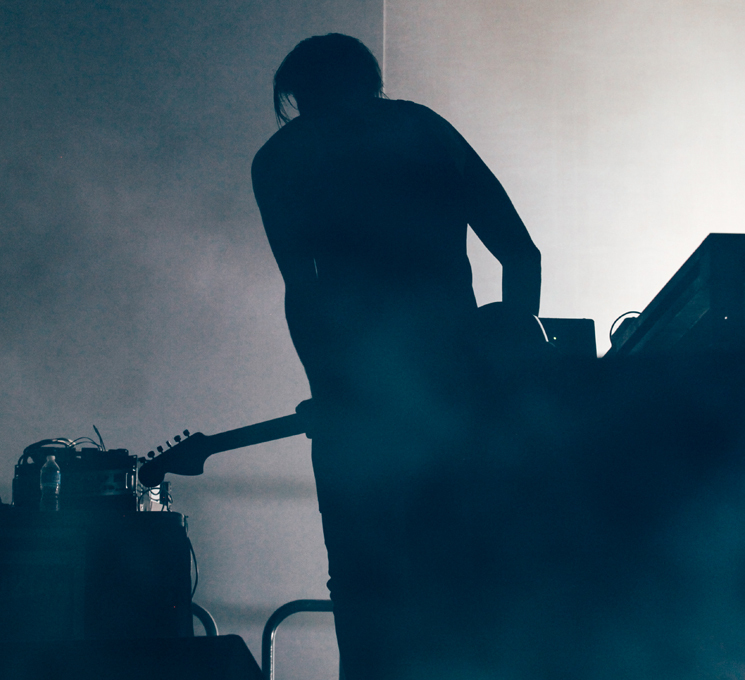 Ben Frost's Unsound set was about as terrifying as you'd expect from the Iceland-based producer. His show was an absolute onslaught of punishing sounds that seemed to be inviting the end of the world. Delivering some of the heaviest drone known to humans, he gave no easy foothold to any passersby. Only when you soaked in the rising details of each track could you begin to appreciate Frost's craft. The performance was so loud and so intense that you could smell the burning electronics near the front of the stage, as every piece of equipment was being pushed to its limits. The abandoned structure of the Hearn was quite possibly the most apt setting for Ben Frost that anyone could imagine. The images of decay and ruin that he conjures in his music were all around him, which only highlighted his truly apocalyptic performance. Frost almost beckoned the place to collapse with his ten-minute-long juggernauts. He put everyone and everything under strain. At times it was almost too much to handle, but in the end that just made the show unforgettable.